I really love split time narrative novels when they are done well, and this book certainly qualifies as one of those! 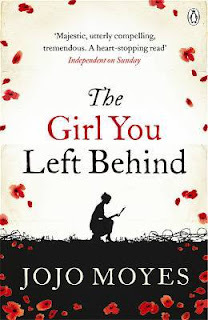 The Girl You Left Behind starts in occupied France during World War I. The main female character, Sophie Lefevre, has withdrawn to a small village with her younger brother, her sister Sophie and Sophie's children to run the local hotel. 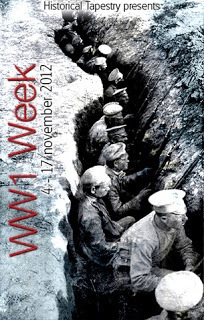 Their men have gone off to war to fight the German army, leaving their families in what they hope are safe surrounds. Sophie's husband is a talented artist, friends with some of the big name of the day. One of the few possessions that Sophie has bought to her new home is a painting that he did of her - The Girl You Left Behind. Together the family runs the hotel, providing a place for the community to gather together in the face of the ongoing German occupation of their village. By working together the villagers can find ways to subvert the German occupiers - often only in small ways but enough to be able to at least keep their spirits up! That begins to change though when the local commandant decides that the hotel needs to be begin providing meals to all the officers. He begins to show Sophie signs of favouritism and it doesn't take long for some in the village to begin to believe the worst of her. It is easy for petty jealousies to take over when you believe that someone else is benefitting and getting more than you when have barely enough to survive on. 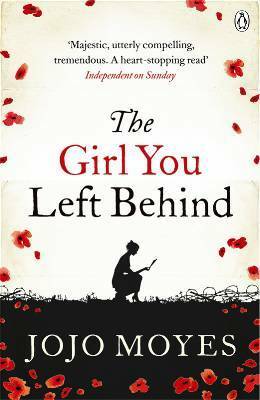 Sophie is desperate to find out where her husband Edouard is and she believes that the commandant might be able to help her. There is of course a price to pay. The Commandant has been drawn to the painting of Sophie since he first saw it but will that be a higher price to pay than Sophie is prepared to pay? 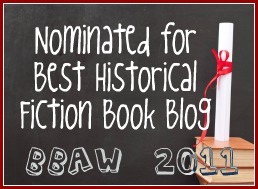 The action suddenly moves forward just under a hundred years and to be honest, the adjustment felt very abrupt but it didn't take long before I was once again settled in for the modern story, as well hoping to find more about what happened to Sophie. The painting, The Girl You Left Behind, now belongs to Liv Halston. Just as when Edouard painted Sophie as a gesture of love, for Liv the painting is representative of that same emotion. Her brilliant architect husband David had bought the painting for them during their honeymoon and since his early and unexpected death it had provided her great comfort. When Liv meets Paul McCafferty she believes that maybe she can start to think about moving on from her grief. Paul is an American ex-policeman living in London, sharing custody of his young son with his ex-wife and working for a company that tries to restore ownership of works of art that were wrongly taken during times of war. In an increasingly lucrative business, the pressure to stay at the top is immense and so when the Lefevre family engage his company to try and recover Edouard's painting he can't believe his luck when he literally stumbles on it by accident. Jojo Moyes is a bit like a chameleon in terms of her books. A lot of authors find a niche and then stay there but not Moyes. This is the fourth book I have read by her. The first was set predominantly on a boat full of war brides after the end of WWII (Ship of Brides). The second was both in the late 60s through to modern day (Last Letter from her Lover) with the third being wholly contemporary and tackling a huge social issue (Me Before You). I have enjoyed all of her books I have read so far, but the last couple especially so. In this book, Moyes skillfully took two stories and wove those threads together to form a compelling story. I found myself turning the pages whilst at the same time wondering how on earth she was possibly going to end both stories. Whilst both stories have the possibility of being kind of morbid, the various secondary characters and various events help to keep the emotions balanced. At times funny and uplifting, and at other times heartbreaking, Moyes takes the reader on a journey that covers both time and the emotional landscape. The UK cover is kind of deceptive, because at first glance it looks quite whimsical but the elements do actually reflect the story. I am not sure about the Australian cover though. It's nice, but whether it would have caught my eye if I hadn't been absolutely excited by the prospect of a new book from Moyes is a different question! I should mention that there is also a connected novella that is available on e-book only called Honeymoon in Paris which is a prequel to the action in this novel. I haven't read it, but I will, despite being a little cynical about the marketing driven reason for doing this. Then again, there are plenty of publishers that are going down this track of added extras! Sounds like a good set of books. It definitely was a good read! This novel caught my eye just last week (I too love parallel narratives), but then I put it back on the shelf. I think I'll read it now thanks to your review - it sounds just my kind of book! Thnak you. Oh, I hope you like it Kate! 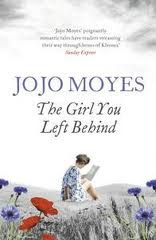 I think that Jojo Moyes is going from strength to strength as a writer. I bought a copy of this last month based on the strength of The Last Letter from Your Lover, which was fabulous. Thanks for your review! Sarah, don't forget to read Me Before You too. It is solely contemporary but it is such an amazing, emotional book! Thanks for the suggestion, Marg, I'll check it out!